We're a small web design studio with big ambition. This means more thought for your project, better care for our customers, client trust and more attention to detail. Being small gives us the advantage of flexibility that most web agencies don't have. We provide sincere personal attention to our client. We exceed your expectations on every project we manage. Our visual web solutions promote effective messaging that results for your company to be the leader in your targeted market. Larger web agencies can become slow moving. They lack the ability to quickly switch paths. On the other hand smaller agencies might have difficulty servicing large accounts, or maintaining reliability and consistency across all business sizes and projects. Web Design & Internet Marketing (WDIM) principal is to manoeuvre so that it will combine the best of both : we're fast, reliable, fresh, and innovative, yet we offer the necessary credibility to take even the most challenging and demanding projects. Our purpose for existence to the web is to cover all functional needs and expectations of our customers and we do that by providing high quality services and creative, eye-catching websites which are friendly not only to visitors but to search engines too! We want results for our work just as much as we want to get paid for it. We are excited about your project from the start till the end. We can deliver every point of every proposal. 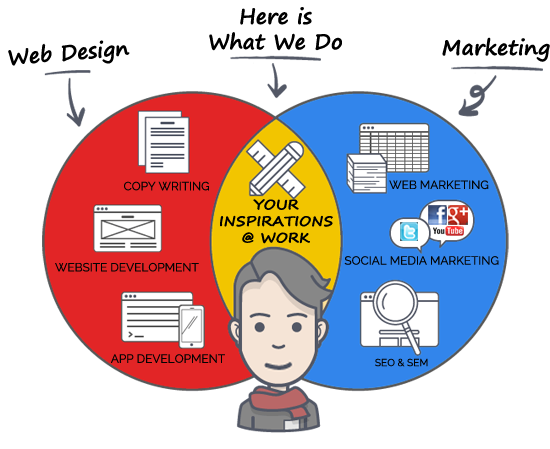 We get the work right; using best web practices as well as social media best practices. We propose the right things to our clients and not the ones that will make us the most money. We treat our clients with respect even when we believe that they are not right. Each of us is responsible for the success of our client's projects resulting in growing our relationships with you our client. Our clients will always know how we will aproach every project we work on and what will the results be at the end. Our working process can be summarized in only three basic steps. Each of these is characterized by quickness, efficiency and trustworthiness. We work close with our clients achieving best results ! Our customer support on every project continues even after we deliver. This is our main involvement with every project. We take our job seriously and we always deliver on time! We cooperate with you for the best result possible. We thoroughly test every website we deliver and we guarantee 100% on their functionality! We also fully support our projects for at least a year. "We at WDIM will ensure your project is in good hands. Impressing you with our incredible creations is what we’re all about. We always strive to form long lasting relationships with our clients."